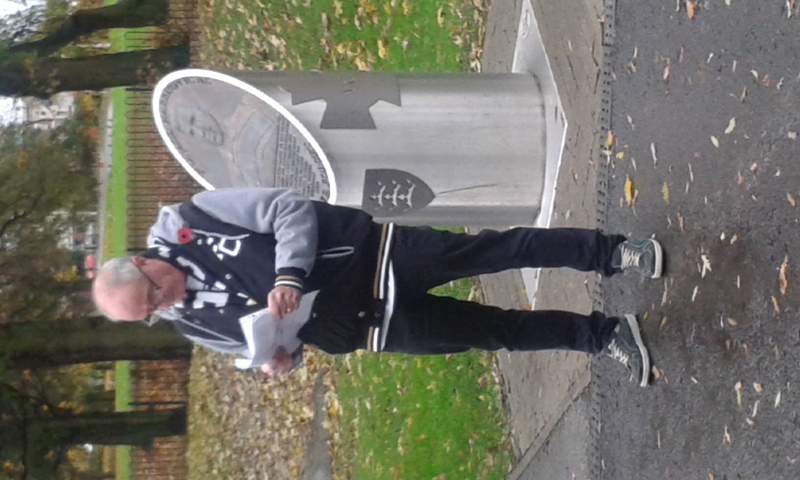 FC Voices had their Remembrance Service in memory of all Hull FC players, Supporters and other club representatives who have made the ultimate sacrifice over the years fighting for their country at the Jack Harrison Memorial outside the KC Stadium on Saturday morning. 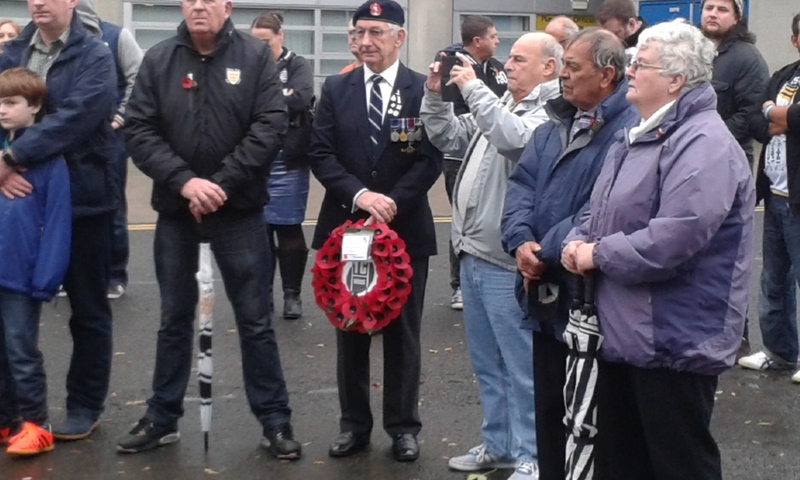 The respectful and deeply dignified ceremony was attended by supporters and representatives of the club including Hull FC Head of Media James Clark. 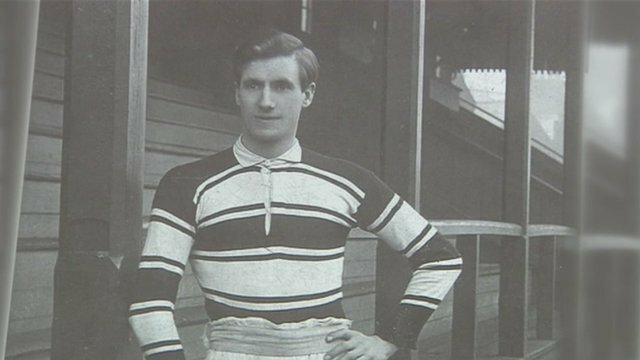 A band, formed by supporters, played relevant music including Abide With Me and Old Faithful as well as the traditional Last Post and Reveille to start and end a minutes silence which was impeccably observed by all who were present, much unlike the minutes silence which was disgustingly broken by ‘fans’ at the stadium that afternoon when football teams Hull City and Middlesborough played each other. 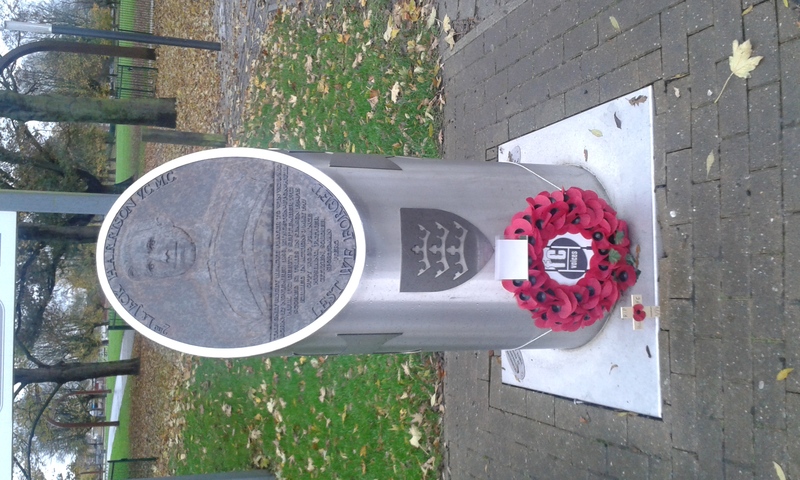 FC Voices were represented by Lisa Jewitt and Jed Rust among others and Up The Cream editor Dan Tomlinson was also present to see a wreath of poppies laid in front of the memorial dedicated to club legend Jack Harrison who won the Military Cross and, posthumously, the Victoria Cross when laying down his life in Northern France in 1917. 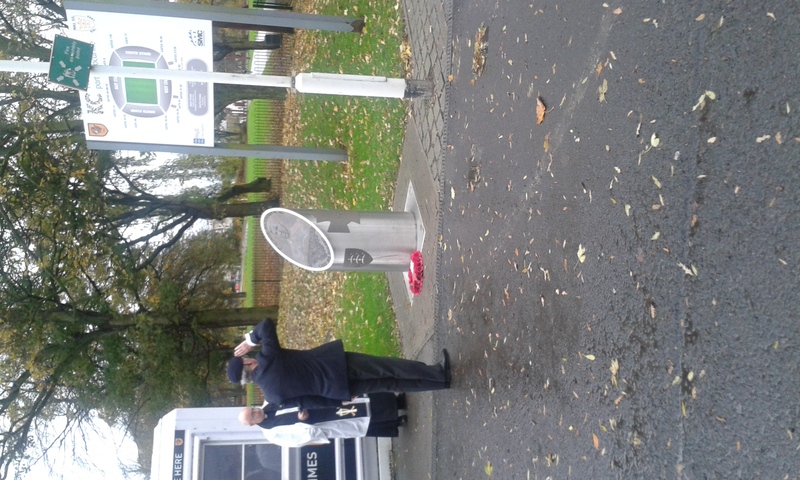 There was a reading of a wartime poem and a dedication from the club chaplain and the whole ceremony was bound up with a very respectful and enjoyable feeling and atmosphere and was obviously extremely well organised by FC Voices who deserve enormous credit for the many things they do on behalf of both club and supporters. 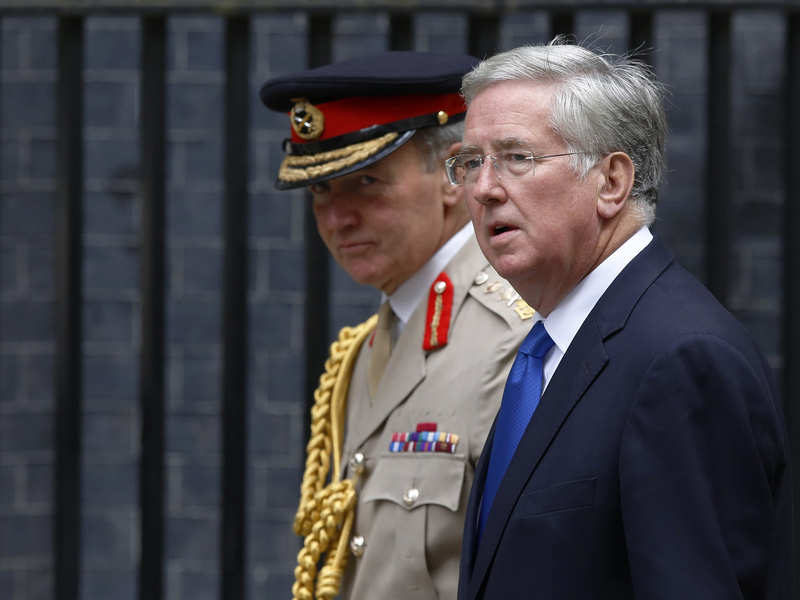 Secretary of State for Defence. Responsibilities: The secretary of state for defence has overall responsibility for the business of the department providing strategic direction on policy, operations, acquisitions and personnel matters including: Operational strategy including as a member of the National Security Council, defence planning (Including SDSR 15) programme and resource allocation (Including the spending round) international relations including lead for North Atlantic Treaty Organisation (NATO) defence exports policy, including as Chair of the cross-Government Exports Working Group, nuclear programme and communications. Educated at Epsom College and University of St. Andrew’s and was MP for Darlington from 1983 to 1992. Elected MP of Sevenoaks, Kent in 1997. Minister for Department of Education and Science 1990 to 1992. Has recently held positions on Treasury Select Committee and was Deputy Chairman of the Conservative Party. Appointed Minister for Business and Enterprise in September 2012 and Minister of State for Energy in March 2013 became Minister for Portsmouth in 2014 and was appointed Defence Secretary on 15 July 2014. Lord Chancellor and Secretary of State for Justice. Responsibilities, The Secretary of State has oversight of all Ministry of Justice business and is responsible for making improvements to the criminal justice and prison system so that it better serves the public. Other responsibilities include, Resourcing of his Department, Functions of the Lord Chancellor, Overall Strategy and delivery of particular priority programme’s, EU and International business, Corporate Services, public appointments and judicial policy including pay, pensions and diversity. He receives a salary as Lord Chancellor and is unpaid as Secretary of State for Justice. 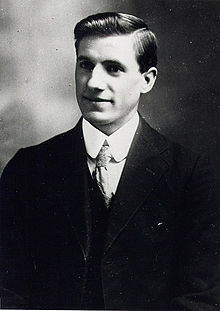 Educated at Robert Gordon’s College, Aberdeen and Lady Margaret Hall Oxford University. Elected Conservative MP for Surrey Heath in 2005, appointed Secretary of state for Education in May 2010 served as Government Chief Whip and Parliamentary Secretary to the Treasury July 2014 to May 2015. Appointed Lord Chancellor and Secretary of State for Justice on 10 May 2015. Became a journalist after leaving university, worked as a reporter for the press and journal in Aberdeen, a researcher and reporter at Scottish television and a reporter at BBC television. He was later Assistant Editor of The Times. Secretary of State for Foreign and Commonwealth Affairs. Responsibilities cover the work of the Foreign and Commonwealth Office with particular focus on Policy Strategy, Honours, Whitehall Liaison and Cyber-Security. Born in Epping, Essex in 1955, attended school at Brentwood before studying Politics, Philosophy and Economics at University College, Oxford. 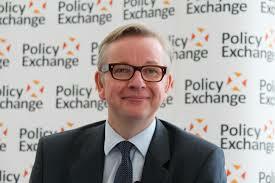 Elected Conservative MP for Runnymede and Weybridge in 1997, appointed Foreign Secretary 15 July 2014. Previously Secretary of State for Transport from May 2010 when appointed as Lord Privy Counsellor and was appointed Secretary of State for Defence in 2011. Before politics he had a career in various small and medium sized businesses in manufacturing, consultancy, property and construction and oil and gas. Secretary of State for the Home Department. Responsibilities cover Security and Terrorism, Legislative Programme and Expenditure Issues. Education in both State and Private Sectors attending both Grammar and Comprehensive Schools. Studied geography at St Hugh’s College, Oxford University. Conservative Councillor in London Borough of Merton from 1986 to 1994. Chair of Education 1988 to 1990 and Deputy Group Leader and Housing Spokesperson 1992 to 1994. Elected MP for Maidenhead in May 1997. Held several shadow positions including Education and Employment, Transport, Local Government and the Regions, Family, Culture, media and Sport, leader of the House of Commons and she was Under Secretary of State for Women and Equalities from 2010 to 2012. 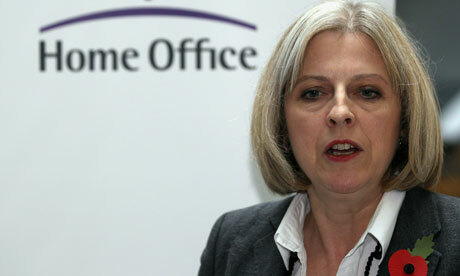 She was appointed Home Secretary in May 2010. 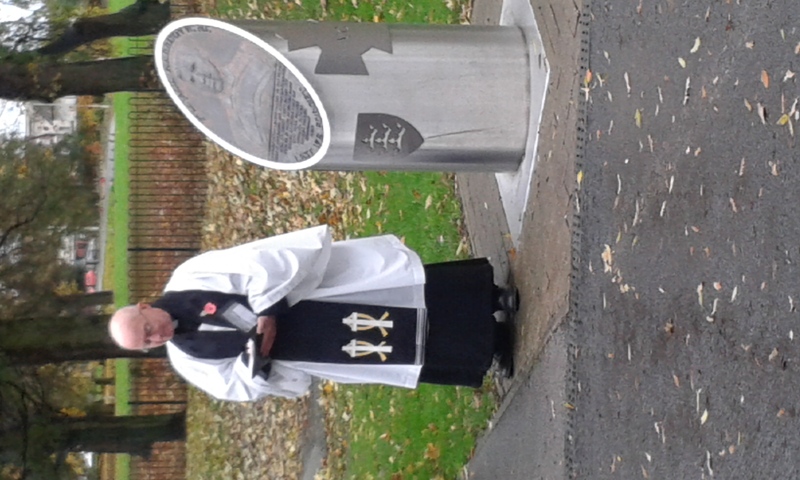 Leader of the House of Lords and Lord Privy Seal. Responsible for organisation of government business in the house, providing assistance to all Lords and offering advice on procedure. The leader also expresses collective feelings of the House on formal occasions, such as motions of thanks or congratulations. Before July 2014 this role was covered by Leader of the House of Lords and Chancellor of the Duchy of Lancaster. Baroness Stowell was appointed Leader of the House of Lords and Lord Privy Seal on 15 July 2014. She was raised to the peerage in 2011 and is a Conservative member of the House of Lords. Educated at Chilwell Comprehensive School and Broxtowe College of Further Education. 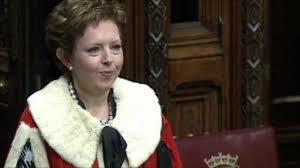 Entered House of Lords in January 2011 promoted to front bench as Government Whip in September 2011. Promoted to Conservative Deputy Chief Whip in September 2012 and became government spokesperson for Women and Equalities and for Work and Pensions. Appointed Parliamentary Under Secretary of State for Communities and Local Government on 7 October 2013. She was a Civil Servant between 1986 and 1996 including at Ministry of Defence, British Embassy in Washington and 10 Downing Street. After leaving Civil Service she worked in the private sector for a couple of years, mainly in the Media Sector. She also served as Deputy Chief of Staff to the leader of the Conservative Party between 1998 and 2001. Moved to the BBC and spent time in various roles including as Head of Corporate Affairs between 2008 and 2010. Awarded MBE for services to the Prime Ministers office in 1996. Chancellor of the Exchequer and First Secretary of State. Born and Educated in London and studied History at Oxford University. Elected Conservative MP for Tatton, Cheshire in June 2001. 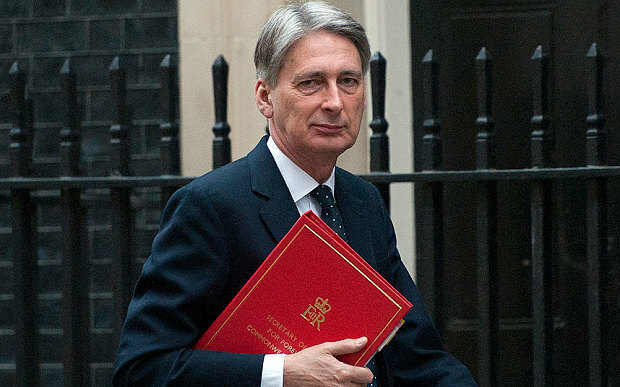 The Chancellor of the Exchequer is the governments chief financial minister, responsible for raising revenue through taxation or borrowing and controlling public spending. He has overall responsibility for the work of the treasury. 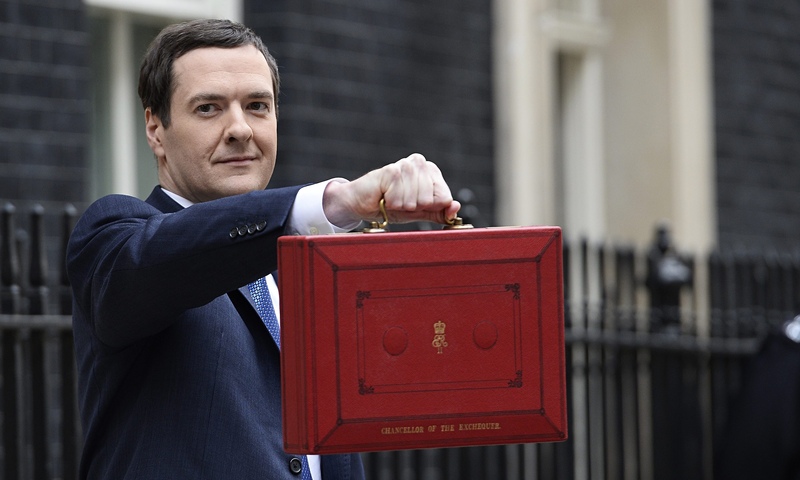 Responsibilities cover Fiscal Policy (Including presenting of the annual budget) monetary policy, setting inflation targets and ministerial arrangements (in his role as second lord of the treasury). Worked as Political Secretary to the Leader of the Opposition before being elected to Parliament. Entered Parliament as the youngest Conservative MP in the House of Commons. Served on the Public Accounts Committee and held a number of shadow ministerial posts, being appointed Shadow Chancellor in 2005 aged 33. Successfully ran David Cameron’s campaign to become leader of the Conservative Party in 2005, was part of the small Conservative negotiating team that led to the formation of the coalition government in 2010 which then saw him appointed as Chancellor of the Exchequer in May 2010.